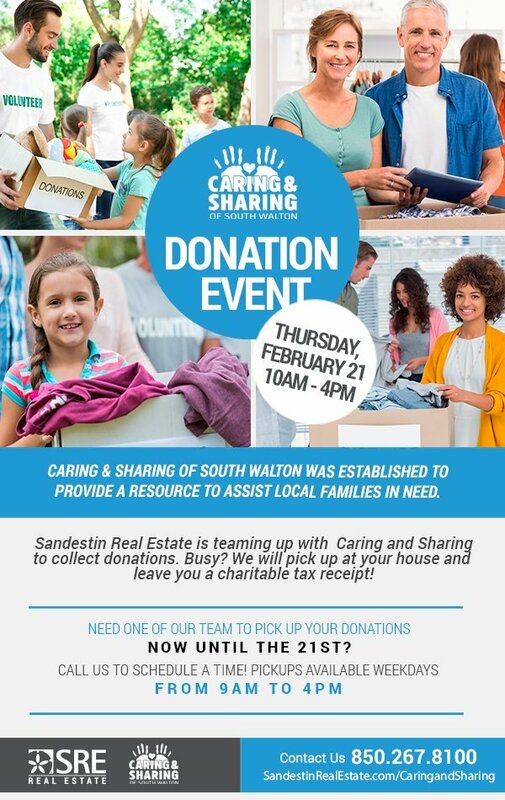 Sandestin Real Estate invites you to join us in making a difference in our community by cleaning out your closets and donating gently used clothing, furniture and household items to Caring and Sharing of South Walton. Caring and Sharing will have a truck onsite at the Welcome Center to collect donations. Busy and can’t make it by? Call us and one of our team members will make arrangements to pick up from your home and leave a charitable donation receipt! *excluded donation items include– mattresses, box springs, armoires, old tube televisions.